A month long composition study of historic art. Each Image was done in 30 minutes, the left is the original and the right is the rough reproduction. As a challenge these images were done without the use of measurement tools, layers, masks or other special aids. Drawing Blueskys, Blender meetup and Python rambling. Blueskys (thumbnail sized sketches)are one of the things I had a hard time with as a student, so I started drawing thumbnails on Friday using Krita a digital painting/drawing application. Its amazing how a little bit of time can dramatic improve something. Although not particularly good at it, in the first dozen images so far there is a clear progression of quality as images become less 2D and more volumetric. I decided to start doing blueskys because its one of the things the design instructors always told us to do in order to come up with appealing work. I would hope that my environments become a hallmark of appealing original design. Expecting to get a page done (about 100 blueskys) and put it up here by next week. Along with drawing blueskys I also started an online sketchbook at conceptart.org in order to expand the audience and possibly receive more feedback. I’m looking to over the next year to expand lots in the area of drawn/painted concepts and spread them over various networks. Apart from drawing I also have some Python and C++ development going on at home. I’m not going to say too much about it at this point other than I am working on a functional prototype for a node based pipeline automation tool. Some things are already working, last couple days I have been stuck on a bug but its sure to be figured out. When the required functionality to be useful is complete I will share the git repo on TheEnvironmentGuy.com (Its open source and under a permissive license :). 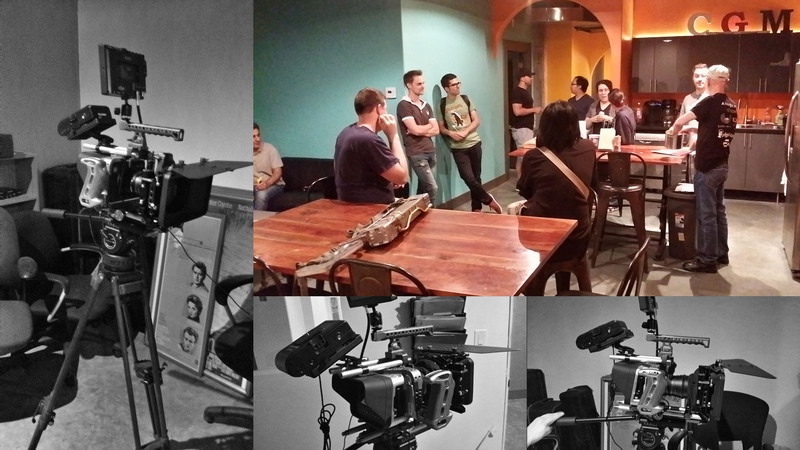 Yesterday was the January 2015 meetup for the Blender group in Vancouver. Its got a fair bit larger than it was three months ago. Currently majority of people there are ‘new recruits’ to Blender but there are some industry people there. We were talking about some new development for a GUI aimed at teaching people how to use the system. It hasn’t been formalized yet but I expect to get info passed my way when the funding proposal comes.